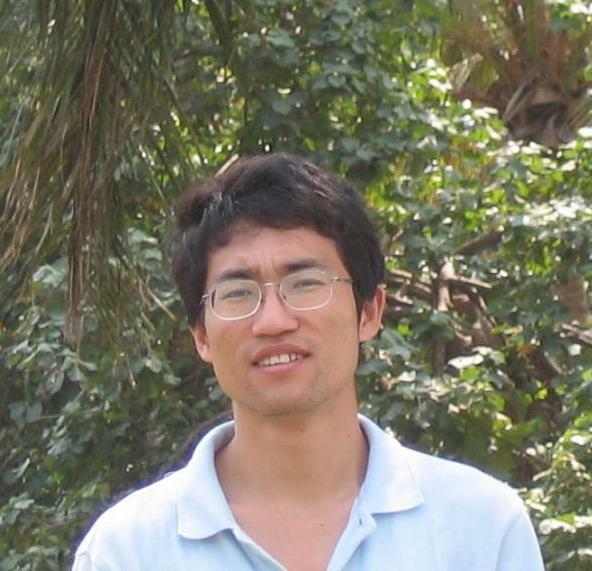 Brief Biography: Dr.Yu Hua was Postdoc Research Associate in McGill University in 2009 and Postdoc Research Fellow in University of Nebraska-Lincoln in 2010-2011. He obtained his B.E and Ph.D degrees from Wuhan University, respectively in 2001 and 2005. His research interests include cloud storage systems, non-volatile memory, big data analytics, artificial intelligence hardware infrastructure, etc. His papers have been published in major conferences and journals, including OSDI, FAST, MICRO, USENIX ATC, ACM SoCC, SC, HPDC, DAC. He serves for multiple international conferences, including FAST, ASPLOS, SOSP, USENIX ATC, SC, SoCC. He is the distinguished member of CCF, senior member of ACM and IEEE, and the member of USENIX. He has been appointed as the Distinguished Speaker of ACM and CCF. His Semi-hierarchical Semantic-aware Storage releases source codes of main components in GitHub for public use. I'm looking for motivated graduate students and undergraduate interns. Please feel free to contact with me for details. Our paper "Mitigating Asymmetric Read and Write Costs in Cuckoo Hashing for Storage Systems" is accepted by USENIX ATC 2019. Congratulations to Yuanyuan Sun. Our paper "Smoother: A Smooth Renewable Power-Aware Middleware" is accepted by ICDCS 2019. Congratulations to Xinxin Liu. Our monograph Searchable Storage in Cloud Computing is published in 2019. Our two papers, Adaptive Granularity Encoding for Energy-efficient Non-Volatile Main Memory and An Efficient Spare-Line Replacement Scheme to Enhance NVM Security, are accepted by DAC 2019. Congratulations to Jie Xu. Our work is selected as a finalist for the NVMW 2019 Memorable Paper Award. Our paper "Finesse: Fine-Grained Feature Locality based Fast Resemblance Detection for Post-Deduplication Delta Compression" is accepted by FAST 2019. Congratulations to Yucheng. I serve as the Program Co-chair (with Ding Yuan) in the 10th ACM SIGOPS Asia-Pacific Workshop on Systems (APSys), 2019. Please consider submitting your work. I serve as the Program Chair in the 14th IEEE International Conference on Networking, Architecture, and Storage (NAS), 2019. Please consider submitting your work. Our paper "Write-Optimized and High-Performance Hashing Index Scheme for Persistent Memory" is accepted by OSDI 2018. Congratulations to Pengfei Zuo. Our paper "Improving the Performance and Endurance of Encrypted Non-volatile Main Memory through Deduplicating Writes" is accepted by MICRO 2018. Congratulations to Pengfei Zuo. Mingyao Shen is recommended and will become a Ph.D student in University of California San Diego, and Yun Luo is recommended and will become a Master student in Carnegie Mellon University, 2018. Congratulations. I serve as the Program Committee Member in FAST 2020, SoCC 2019, SC 2019, USENIX ATC 2019, HotStorage 2019, ASPLOS 2019 (ERC). [USENIX ATC] Min Fu, Dan Feng, Yu Hua, Xubin He, Zuoning Chen, Wen Xia, Fangting Huang, Qing Liu, "Accelerating Restore and Garbage Collection in Deduplication-based Backup Systems via Exploiting Historical Information", Proceedings of USENIX Annual Technical Conference (USENIX ATC), June 2014, pages: 181-192. (Acceptance rate: 36/241=14.9%). Guest Editor: Special Issue "Green Communication" in Journal of Communications and Networks, 2016. Program Committee Member: 18th USENIX Conference on File and Storage Technologies (FAST), 2020. Program Committee Member: IEEE International Conference on Computer Communications (INFOCOM), 2020. Program Co-chair: The 10th ACM SIGOPS Asia-Pacific Workshop on Systems (APSys), 2019. Program Committee Member: The ACM Symposium on Cloud Computing (SoCC), 2019. External Review Committee: The 24th ACM International Conference on Architectural Support for Programming Languages and Operating Systems (ASPLOS), 2019. Program Committee Member: USENIX Annual Technical Conference (USENIX ATC), 2019. Program Committee Member: The International Conference for High Performance Computing, Networking, Storage and Analysis (SC), 2019. General Co-Chair: SDDCS 2017 with ASPLOS 2017, SDDCS 2018 with ASPLOS 2018. "High Performance Persistent Memory Systems", Johns Hopkins University, May 2019. "NVM-based Secure and Persistent Memory Systems", Northeastern University, February 2019. See the News and flyer. "Encrypted Non-volatile Main Memory Systems", University of Southern California, October 2018. See the flyer. "Storage Security Ecosystem: A Top-down View", City University of Hong Kong, August 2018. See the flyer. "NVM-based Secure and Persistent Memory Systems", University of Massachusetts Lowell, July 2018. See the flyer. "Semantic-aware Edge Storage Systems", University of Massachusetts Boston, November 2017. "Deduplication-aware Architecture and System for Edge Computing", The George Washington University, November 2017.See the flyer. "Deduplication-aware Architecture and System for Edge Computing", University of California, Riverside, March 2017. See the News. "Deduplication-aware NVM Systems for Edge Computing", The workshop of EuroSys 2017 PC Member in Google Zurich, January 2017. "Deduplication-aware Edge Computing", Uppsala University, Sweden, January 2017. See the News. "Correlation-aware Hashing for Smarter Storage", MathWorks Asia Research Summit, Tokyo, September 2016. "Deduplication-aware Ecosystem: A Bottom-up Approach", University of Central Florida, March 2016. See the flyer. "Approximate Storage Methodology: Systems and Architecture", Oak Ridge National Laboratory, November 2015. "Smart Big Data Analytics in Large-scale Storage Systems", The Hong Kong Polytechnic University, March 2015. "Near Real-time Data Analytics: Observations and Insights", University of Colorado at Colorado Springs, November 2014. "Smart Deduplication and Compression in Mobile Clouds", IEEE/CIC International Conference on Communications in China (ICCC), October 2014. "Non-volatile Storage Support for Data Deduplication", in NVMSA 2014, in conjunction with RTCSA 2014, August 2014. "Software-defined Deduplication in Networking Systems", City University of Hong Kong, May 2014. "Design and Implementation of Network Storage Systems: From Cloud to SDN", McGill University, Montreal, Canada, November 2013. PI: "Research on Organization Model and Key Technology of Massive Time-constrained Data in Cloud Storage Systems", National Natural Science Foundation of China (NSFC), No.61772212, 2018-2021. Co-PI: "The Principle and Methods of Software-defined Configurable Distributed Storage Systems", National Key Research and Development Program of China, No.2016YFB1000202, 2016-2021. PI: "Research on Correlation-Aware Organization Model and Key Technology in Hybrid Storage Systems", National Natural Science Foundation of China (NSFC), No. 61173043, 2012- 2015. PI: "Research on Multi-dimensional Metadata Structure and Fast Query Approach in Large-scale Storage System", National Natural Science Foundation of China (NSFC), No. 60703046, 2008-2010. Key Member: "Basic Research on Data Storage System Theory and Technology for Complex Application Environment", National Basic Research 973 Program of China, 2011-2015. Collaborator: "SANE: Semantic-Aware Namespace in Exascale File Systems", National Science Foundation (NSF), 2011-2014. Postdoc Research Fellow: "HECURA: A New Semantic-Aware Metadata Organization for Improved File-System Performance and Functionality in High-End Computing", National Science Foundation (NSF), 2009-2013. Key Member: "PB-scale High-performance Massive Storage Systems and Applications", National High Technology Research and Development 863 Program of China, 2009-2010. Finalist for the Memorable Paper Award in NVMW 2019. Best-in-Session Presentation Award in IEEE INFOCOM 2016. Distinguished Editor in Frontiers of Computer Science (FCS), 2017, 2016. Pengfei Zuo received the student grants from OSDI 2018 and MICRO 2018. Jie Wu received the job offer from Google, Waterloo, Canada, 2018. Pengfei Zuo became a visiting Ph.D student in University of California at Santa Barbara, 2018. Mingyao Shen was recommended and became a Ph.D student in University of California San Diego, 2018. Yun Luo was recommended and became a Master student in Carnegie Mellon University, 2018. Zhangyu Chen was invited to give a talk in HotDC 2017. Yuanyuan Sun and Xinxin Liu received ACM SOSP 2017 Student Scholarships awarded by Google. Yuanyuan Sun received ACM SoCC 2017 Student Scholarships. Yuanyuan Sun received the USENIX ATC 2017 Grants. Jie Wu became an intern in Microsoft Search Technology Center, 2017. Mingyao Shen was selected as the outstanding undergraduate student in HUST and exchange student in University of California San Diego, 2017. Jujunfeng Shen received the Master student offer of University of Southern California, 2016. Qiuyu Li was recommended and became a Master student in The University of Edinburgh, 2014. Tao Lu and Yuhua Guo were recommended and became Ph.D students in Virginia Commonwealth University, 2012, 2013. I received the 3rd Prize in Hong Kong International Dragon Boat Races, 2006.